In my old job I got pretty lucky with some of the restaurants I went to. You’d either be going out with clients, or you were the client being taken out. Either way, I got to go to some top restaurants round London on a company credit card. But I tried very hard to keep the novelty of it all. This kind of stuff should never become the norm, you always want to keep that sense of “this is special stuff”! Well now I’m out of all that. Ok, with doing all this wine stuff I get invited to the odd trade do, or PR event at some lovely places, but Michelin star places every week? Nah. PR budgets don’t stretch that far! So when I do get lucky and get to eat at top places, I can tell you now I enjoy each and every minute of it! Last week I met up with a mate for the first time in a few months. He’s a very successful fella, who’s done great in the media world. He loves his food, and he loves his champagne (despite my attempts to open him up to other types of bubbles!). And because I meet him for lunch, it’s got to be round where he works. So he booked us into City Social, Jason Atherton’s place on the 24th floor of Tower 42. It’s stylish this gaff. Decked out in an art deco style, it’s all very 1920s chic, with a great view out the windows of the City of London. We were sat over in the bar bit, started with a glass or two of Champagne (I can’t stop the man! ), and then the fish pies turned up. 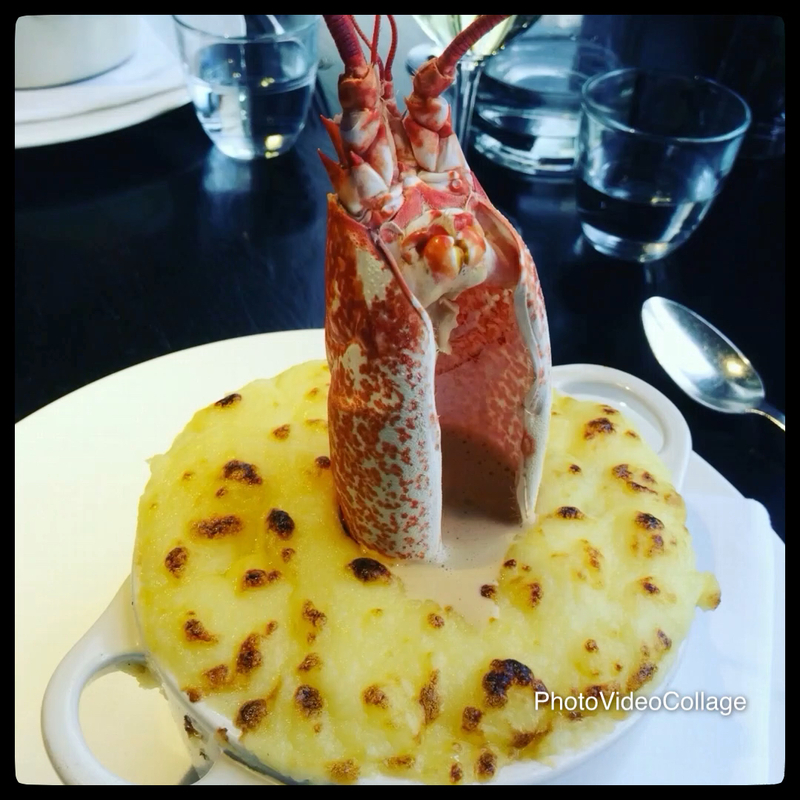 Fish and lobster pie with lobster sauce? My life! Perfectly done! Washed down with fish pie’s best mate, an oaked chardonnay, it was time to sit back and soak it all in whilst catching up. The novelty has definitely never worn off, and I really hope that never changes! When they poured the sauce through the lobster’s mouth, that was a bit weird, I didn’t know what I was looking at either!! !